Motiv: Persecution and violence - journalists in crisi areas are living dangerously. International press card on a travel suitcase. GERMANY, BONN - APRIL 10: Persecution and violence - journalists in crisis areas are living dangerously. Symbol photo on the topics journalism in crisis areas, press freedom, persecution against journalists, etc. 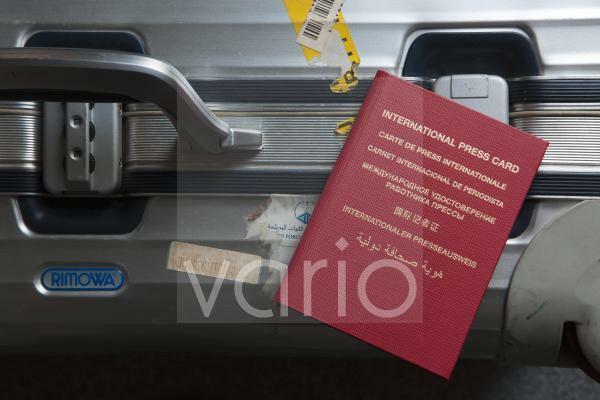 The picture shows an international press card on a travel suircase.